Though hopeful donors have been pushing voluntary testing and counselling clinics on Papua for years, all the clinics I’ve visited in the last week report that the truly voluntary “I’ll just go along and see whether I’m infected” walk-in client is rare. 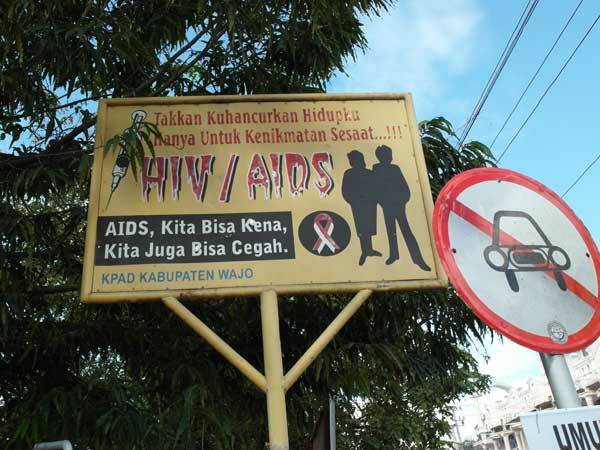 Most are referred to the clinics by health staff who see signs and symptoms of AIDS — often, in other words, after people have been walking around with HIV for a decade or so. Why don’t more people want to get tested? Perhaps in part because we still tell people AIDS can’t be cured. 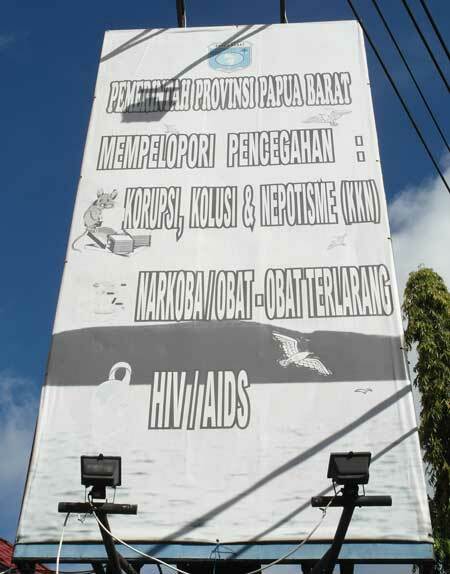 But also because we are equating HIV with distinctly undesirable things like corruption and illegal drugs. It brings us back to the eternal prevention dilemma. We want people to think HIV is undesirable, because we want them to protect themselves from infection. But we also want to stop treating it like some horrid plague which deserves to be feared (and financed) more than any other inconvenient, chronic, treatable disease. If you’ve been reading this blog much, you’ll have gathered that the parallel with corruption is not actually so far off for Indonesia, in that corruption is also an undesirable, inconvenient and chronic disease. At least HIV is treatable.